Leeds Playhouse’s pop-up season opened last month with Jim Cartwright’s Road , and the theme of community continues on a more global scale with this revival of David Greig’s 1994 play Europe. Greig wrote Europe during the Balkan conflicts when Brexit was but a distant glimmer, but the themes he explores are worryingly prescient. Two refugees, seeking shelter at a railway station, are met with initial suspicion by the station master. Meanwhile jobless young people are drinking in the local bar, looking for someone to blame for their woes. It’s hard to see that these tensions will eventually lead to an explosion. James Brining uses the same repertory company as Road. Tessa Parr shows real star quality again as Adele, trapped in a disintegrating marriage and longing to escape her hometown to see the continent, while Dan Parr is genuinely chilling as the local everyman turned racist thug. Jo Mousley and Robert Pickavance also impress as the refugees. Amanda Stoodley’s imposing set (complete with actual rail track) exudes the sort of grim desolation that only an disused railway station can provide, while David Bennion-Pedley’s lighting and David Shrubsole’s sound combine to atmospheric effect. 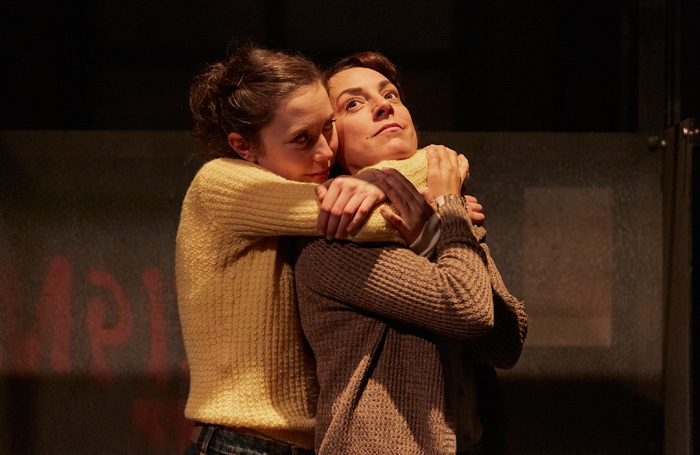 Though well performed and designed, Brining’s production is missing a sense of emotional connection and the litany of misery becomes a bit wearying after a while. Though its contemporary relevance is undoubted, it turns into a bit of a slog towards the end.